Never had an oatcake? Neither had I. Until I realized that this recipe by Heidi Swanson from her new book Super Natural Everyday would use up multiple strange and random ingredients in my pretend pantry (pretend because it's only a few shelves above my sink). I recognize that it's probably not normal to actually have spelt flour, coconut oil, and flax meal (although Heidi calls for seeds) just waiting to be used. But that's what months of experimentation sometimes lead to. So oatcakes. This is how you make your morning oatmeal portable. 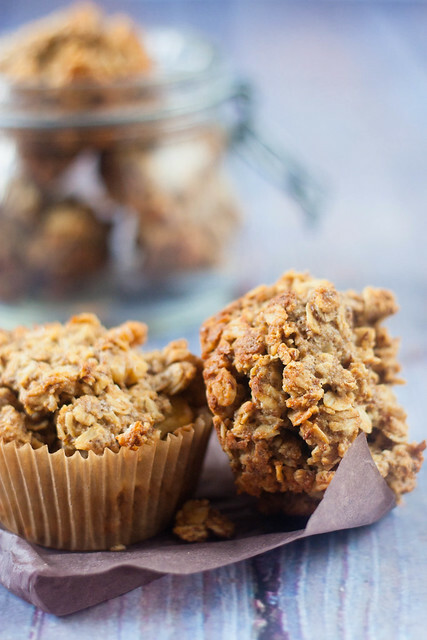 Because they're basically little cakes made up of rolled oats and just enough batter to bind the oats together. In the spirit of cleaning out the pantry, I will admit that I didn't have any maple syrup so I subbed in the last of my molasses thinned out with some water. 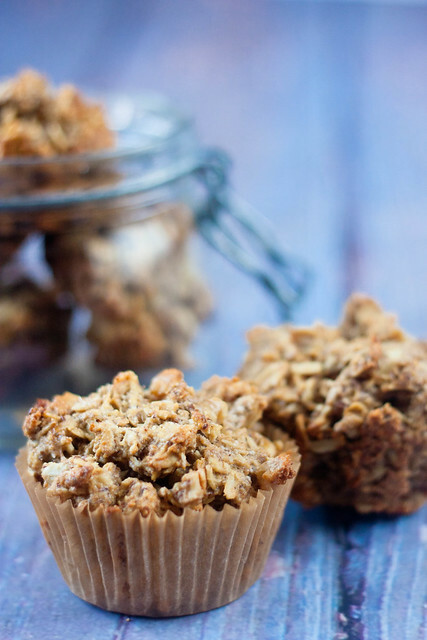 These aren't particularly sweet, but they are a really great afternoon snack or pre-workout energy boost. And so much better than buying a preservative-laden bar for such things. A little on the dry side, I will admit. But then, that's kind of the nature of oats. Just eat one along with your afternoon coffee break. Oven preheated to 325F. Grease a 12-cup muffin tin, or use muffin liners. 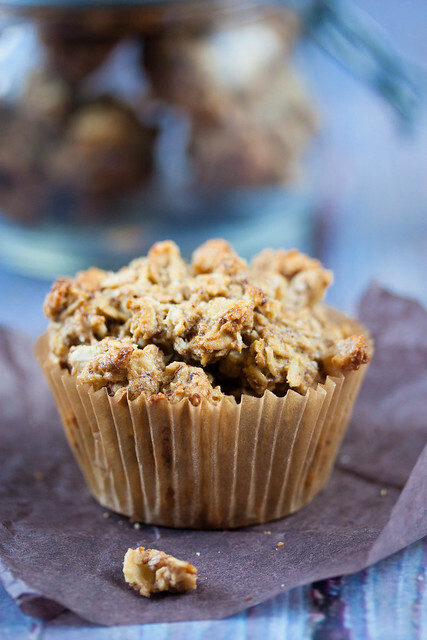 In a large bowl, whisk together the oats, flour, baking powder, salt, flax meal and walnuts. Set aside. In a heavy saucepan, melt the coconut oil, butter, molasses/water mixture and sugar over low heat. The sugar should dissolve and the butter should just melt, but don't overheat the mixture because we don't want it to cook the egg when they're combined. Pour the coconut oil mixture over the dry ingredients and fold them together with a fork until just moistened. Add the beaten egg and stir until the ingredients start to hold together. Spoon the dough evenly into the muffin tin. Bake for 25-30 minutes until the edges are a deep gold color. Remove from the oven and let cool for a moment before removing the oatcakes to a cooling rack. You might have some extra dough, as I did. If that happens, once the oatcakes come out of the oven and are on the cooling rack, run the muffin tin under some cold water to cool it down and dry it with a towel. Re-grease a few extra cups and spoon the extra batter into them. Fill the empty cups about 3/4 full with water so they don't warp when you bake it. Return the tin to the oven and bake again. Gorgeous little snacks! These would come in handy. Love the pictures! I want to try these. These look lovely :) I cant start the day without my big ol' bowl of porridge, these would be fabulous for an extra boost without the guilt! I'm loving everything about these little beauties! Yum! Love this idea! So cute and healthy, to boot! So much easier than shaping and cutting granola bars! Yum, those look great! I love Heidi's recipes and can't wait to get her book :D These look like perfect little snacks for my kids! The meaning of this is that you actually burn fat by eating coconut fat (also coconut milk, coconut cream and coconut oil).